The Union Cabinet on Thursday approved the design, which includes both the Devnagiri 'Ra' and the Roman capital 'R' and has two parallel lines running at the top. The parallel lines symbolise the equal to sign. RELATED NEWSRupee to get a symbol today! "With this India will join an elite group of countries which have a distinct currency symbol. It denotes the robustness of Indian economy. I will now hold up the design that was finally selected. This was sent in by Udaya Kumar," said Minister for Information and Broadcasting Ambika Soni in New Delhi. 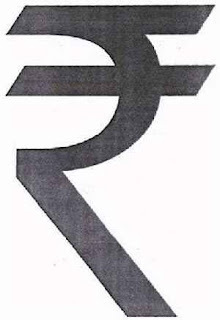 She said that the Rupee symbol was a nice blend of modernity and Indian culture. The symbol selected has been designed by an Indian Institute of Technology postgraduate D Udaya Kumar and was selected from among five short listed symbols. Kumar, who is with the Department of Design at IIT Guwahati, explained thatthe design is based on the Indian Tricolour. "My design is based on the Tricolour with two lines at the top and white space in between. I wanted the symbol for the Rupee to represent the Indian flag. It is a perfect blend of Indian and Roman letters: a capital 'R', and Devnagari 'Ra', which represent rupiya, to appeal to international and Indian audiences. After working onthe design for few months, I shortlisted eight to 10 designs and then refined them further till I got this one," said Kumar. All new notes will now bear the symbol. 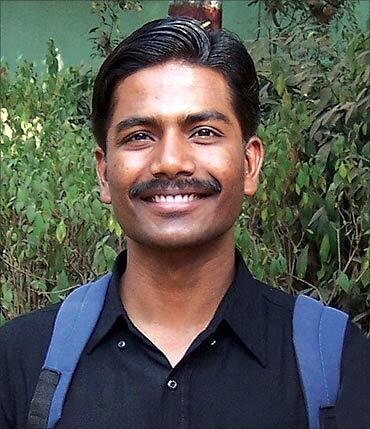 Dharmalingam Udaya Kumar won a nationwide contest run by the government to design a symbol for the Indian rupee. A symbol he designed, incorporating elements of Devanagari and Roman scripts, had been chosen to represent India’s growing economy and its currency. It would be incorporated in Unicode, computer keyboards will have a dedicated key for the symbol and it will come to be seen and recognised around the world. A designer gets to create a currency symbol just once in a nation’s life. Born in Chennai on 10 October 1978, Kumar’s family hails from Thanjavur. The magnificent temples there must have had something to do with his decision to study architecture, which he pursued at Anna University in Chennai. Subsequently, he did his masters in architecture from IIT, Mumbai. When the industrial design centre in the campus started offering a PhD, Udaya Kumar enrolled, and started work on the evolution of the Tamil script,which dates back to 2nd century AD. “I want to continue work on Tamil typography. I find our symbols have a very heavy western influence. I will do more work on Indian scripts,” he told ET. For the design, he took inspiration from the symbols of such currencies as Korea’s won, UK’s pound sterling, euro, lira, peso and others. “Thus it has a harmonious identity as far as international currency symbols are concerned and at the same time it has the Indian uniqueness,” he said about his winning design. Among the international currencies, he likes the Yen symbol as it best reflects the country. The 31-year-old bachelor worked as a senior designer for two years with speciality magazine publisher Infomedia.